Ritchie Bros. has announced an organizational realignment in North America. 1) Prioritize senior management focus on penetrating the Upstream segment of the used equipment disposition market: The Upstream segment represents a large opportunity from OEMs and dealers, rental companies and other large construction and transportation multinationals, which tend to remarket used equipment through their own channels. 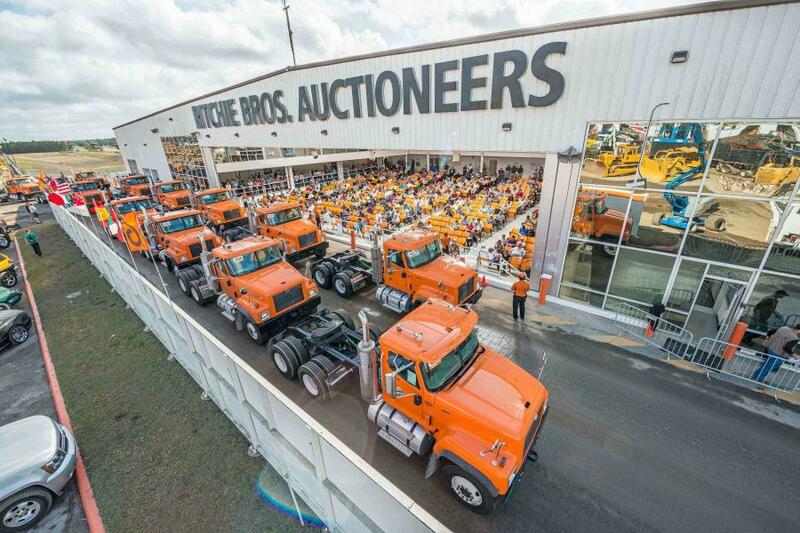 Through the recent launch of RB Asset solutions, Ritchie Bros. has evolved beyond just an auction company, penetrating the Upstream segment by providing a suite of asset management and disposition solutions offered only through its Strategic Accounts sales force. 3) Profitably scale the Government business: The Government business includes Federal, Defense Logistics Agency Rolling and Non Rolling Surplus, Marine Corps and the fast growing State, Local and Municipal businesses. This sector represents a significant opportunity for expansion in the U.S. and globally. Jeff Jeter is appointed president, Upstream & Emerging Businesses. Jeter's responsibilities will include driving the Upstream business by rolling out RB Asset Solutions in the U.S., developing a go to market Upstream initiative in Canada, continuing to oversee Strategic Accounts in the U.S. and assuming responsibility and enhancing focus on Strategic Accounts in Canada. His remit will now also include the Government business and he will support the team to rapidly penetrate new government customers and help expand the buyer base. Jeter will lead the Caterpillar Strategic Alliance and champion the relationship with Caterpillar Corporate and Cat Financial. Sam Wyant, senior vice president, U.S. Strategic Accounts, Doug Feick, senior vice president, New Business and Corporate Development, Kelly Kittson, director, Canada Strategic Accounts, and Liz D'Ambrosio, vice president, Sales Support, will report directly to Jeter. Kari Taylor is appointed chief sales officer, U.S. Regions. In this newly created role, Taylor will assume responsibility for the U.S. field based regional sales organization. Sales Effectiveness and Sales Training will also report to her. Taylor will initially focus on successfully implementing the S.A.G.E. initiative to accelerate new business growth and enhance Territory Manager sales productivity.She will also work closely with the field teams to accelerate online momentum and take multi-channel selling to the next level. Taylor will also help galvanize the Sales organization's embrace of data analytics and metrics, building on Ritchie Bros.' very strong customer relationship based culture. Jake Lawson, senior vice president, Sales U.S. South, Rob Giroux, senior vice president, Sales U.S. West, Franklin Langham, vice president, Sales U.S. Northeast and North Central, and Darrin Hogeboom, vice president, Sales Effectiveness & Training, will all report directly to Taylor. Brian Glenn, senior vice president, Canada Sales, will continue to run the regional field sales organization in Canada. Commenting on these changes, Saligram said, "In the last two years Jeff has done a tremendous job integrating the Ritchie Bros. and IronPlanet sales forces and creating a strong foundation for multi-channel selling. He has earned the respect of the entire U.S. Sales organization as a strong leader and has been one of the key architects of our Upstream strategy. We are fortunate to have a senior executive of his caliber to lead the Upstream and Government businesses, two of our most important long-term growth initiatives. Jeff's business acumen, passion for Upstream, the strong relationships and credibility he has nurtured over many years with OEMs, Rental and Strategic Account customers, and his rich global experience in selling software and technology solutions at Manugistics and Iomega make him the ideal leader for this new role." Saligram continued, "We are very excited to welcome Kari to the Ritchie Bros. family. She is a charismatic, high-energy, results-driven executive who has an extensive leadership background in all aspects of sales management in multiple industries and large B to B businesses. She has a proven track record of transforming sales organizations — driving excellence through a disciplined sales management process and operational cadence and influencing behaviors through performance metrics. Her ability to develop high performance teams, build capacity and create alignment, combined with her tenacity and resilience, will position us well to accelerate our growth agenda in the U.S. I am delighted to have such an exceptional sales leader as Kari join our executive team." Taylor joins Ritchie Bros. from Benco Dental, where she had been chief revenue officer since 2016. In this role she served as the principal executive responsible for sustainable revenue growth through Benco's national sales and service footprint, which included 500 sales reps and 325 service technicians. Taylor played a leading role in the execution of the company's vision to be the number one choice for dental professionals, team members and vendor partners. Taylor said, "I am thrilled to be joining Ritchie Bros. — an iconic auction brand and a trusted leader in the equipment industry. The team has already undergone significant transformational work over the past few years, which has positioned the company exceptionally well for long-term success. I look forward to leveraging Ritchie Bros.' leading industry position, history and brand in partnership with Jeff Jeter as we realize the growth potential of the U.S. market." Taylor previously held senior roles at W.W. Grainger Inc., overseeing a $1.4 billion territory sales division, and Office Depot Inc., where she was responsible for sales operations, pricing, and strategy within the Business Solutions Division with sales of $2.4 billion. At Benco, Grainger, and Office Depotband other roles, she established a track record of delivering sales growth, market share gains, margin improvement, and increasing customer net promoter scores. For more information, visit www.rbauction.com.